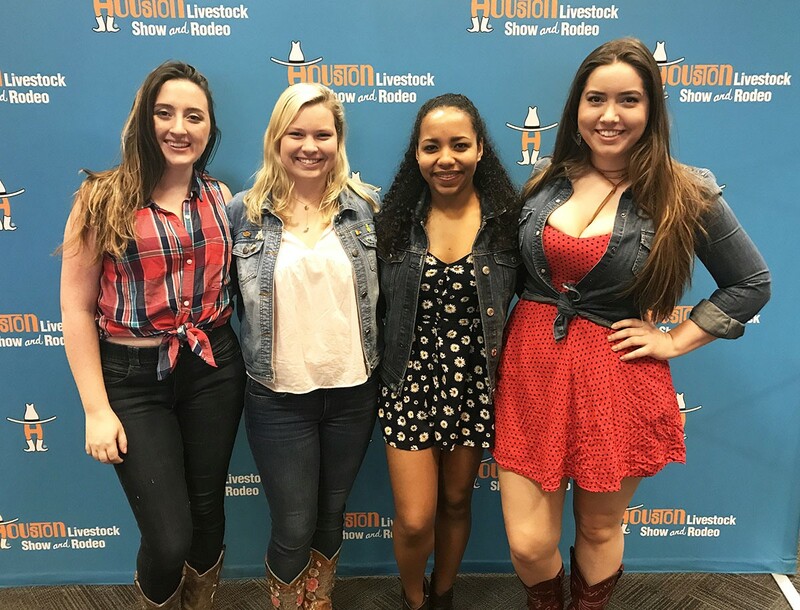 (From left) Friends Hayley Clark, Haley Kurisky, Renisa Ramnath and Julian Wilson enjoyed the Thomas Rhett concert at RodeoHouston. 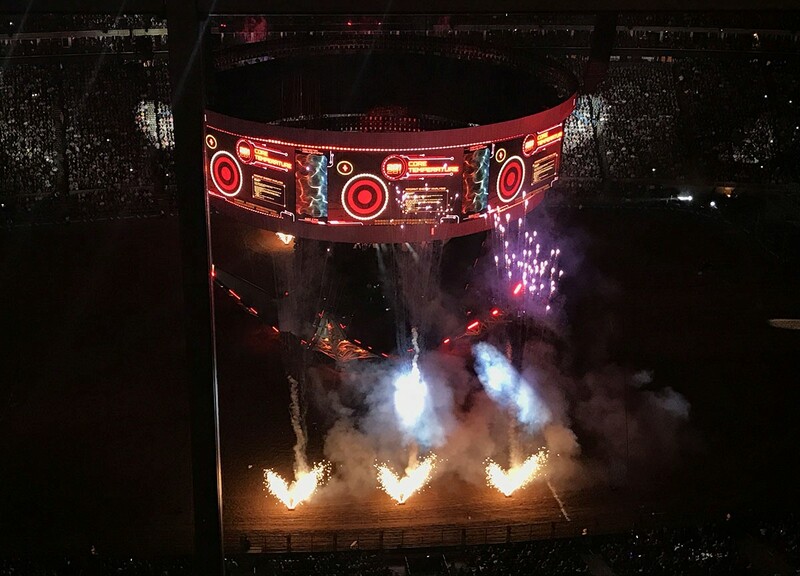 Wednesday, March 7 was another great night at the Houston Livestock Show and Rodeo. The performer of the day was Thomas Rhett, a fairly young country/pop singer, known for hits like Makes Me Wanna and Die a Happy Man. For my third (yes, third) trip to the Rodeo, I took along some friends, two of whom had never been to the Rodeo before. My roommate, who will be leaving Houston after Rice University graduation in a few months, remarked that the joys of the Rodeo made her incredibly sad to be leaving Texas. We Houstonians can sometimes take for granted how lucky we are to host the largest Rodeo in the world! The grounds weren’t very crowded Wednesday night, so it was quite easy to move about and wait in line for food and such. The fried Oreos were especially delicious, and the short wait to get them was even better. Many new animals had been born since I had been to the Rodeo last (exactly a week ago). There were new baby piglets, new chicks, lots of little lambs and a few small calves. They were all adorable as usual. Since we are about halfway through the Rodeo, the Rodeo competitors are getting into the championship rounds. On Wednesday, despite the fun energy from the crowd, the air was tense for the cowboys and cowgirls during their events. The bulls bucked more riders than not, and only two cowboys were able to have clean runs during steer wrestling. The night was tough in terms of Rodeo-ing, but the youthful energy of Rhett’s performance served as a great contrast to the nervous atmosphere present during the Rodeo section. Thomas Rhett put on a solid show. At times, the background music wasn’t great or his vocals weren’t solid, but overall, he made good use of the big stage and moved around a lot. He spend a good few minutes walking around on the dirt, taking pictures with and touching the hands of fans. He is an endearing performer, even stopping to talk about his daughters and his family for a while between songs. His songs are light but not full of nothingness, and his performing style is similar. He doesn’t overtly shake his hips (Luke Bryan-style), but he does have a certain “cute” appeal that made the concertgoers scream fairly loudly throughout the show. Overall, the show was good, especially following a rather serious Rodeo day. 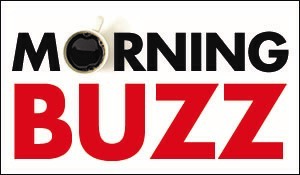 See Haley's review of Garth Brooks' Opening Show and her roundup of live music happening this month. Find the full concert lineup here.